Miami University Presdient Greg Crawford with students, faculty and tribe members at the Miami Tribe of Oklahoma’s Winter Gathering in January 2018. 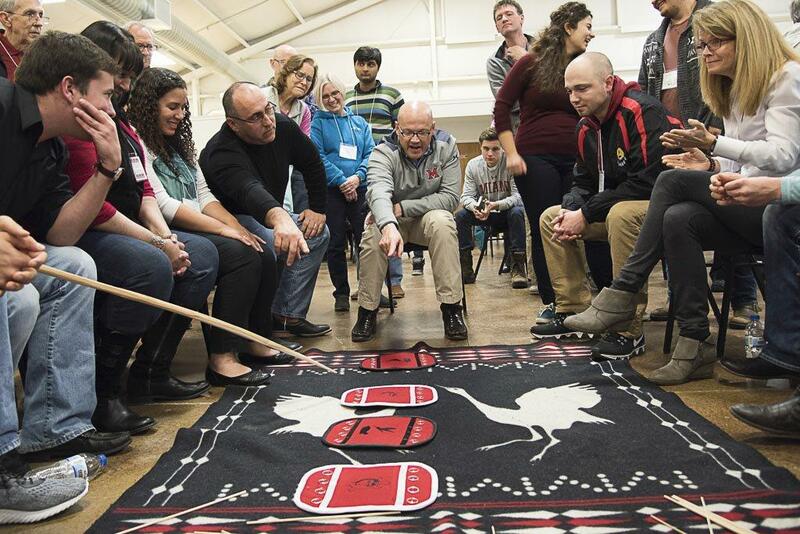 Miami University's Myaamia Center is hosting its eighth biennial Myaamiaki Conference Friday. It focuses on research, language and other topics related to the Miami Tribe, from which the university draws its name. Center Director Daryl Baldwin says this year's conference doesn't have a theme. "I almost feel like we've grown out of that mainly just because the research has become so diversified," he says. "Today it's just more about anything related to Myaamia research." "What I'd really like participants to see is the Miami Tribe and Miami University - this incredible relationship that they've created - in a modern context. A modern context of research that actually feeds a tribal educational effort. Language and cultural revitalization, these are very real things," Baldwin says. Tribe member and Curator-in-Charge of the National Meteorite Collection at the Smithsonian Institution Timothy McCoy is among the presenters. He's leading a session on what can be learned about mound builders from studying the beads they made from meteorites. Other discussions include the Fort Ancient settlement, tribal reserve land in Indiana, linguistic research and learning, and how newer parents are teaching children at home about the Miami Nation. The conference concludes with a panel discussion on tribal students' experiences at Miami University. "We oftentimes say we're not a people of the past, we're a living people with the past. We want them to see the living aspects of our attempts to keep alive our culture, our heritage, our language, and the nation as a whole, the Miami Tribe as a functioning, sovereign government." Baldwin won a 2016 MacArthur Genius Grant for his work with the center. The free conference is Friday, March 30 from 9 a.m. to 4 p.m. at the Marcum Center in Oxford. Click here for registration information. Each winter, Miami students and staff go to Miami, Oklahoma, for the annual Winter Gathering. You can watch a recap of this year's trip below. 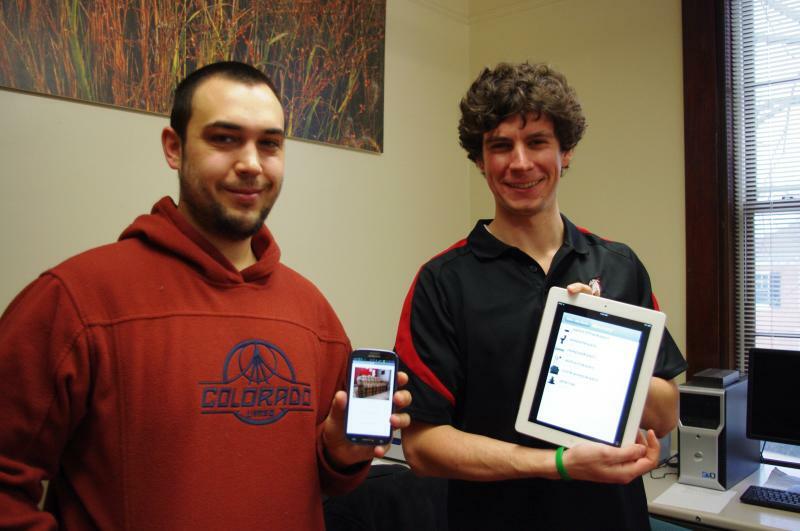 Miami University and the Myaamia (Miami) Nation are expanding their relationship. Miami University professor Daryl Baldwin is a 2016 MacArthur Fellow, more commonly known as a 'genius grant' recipient. Baldwin is Director of Miami's Myaamia Center and a leader in Native American language and cultural revitalization.